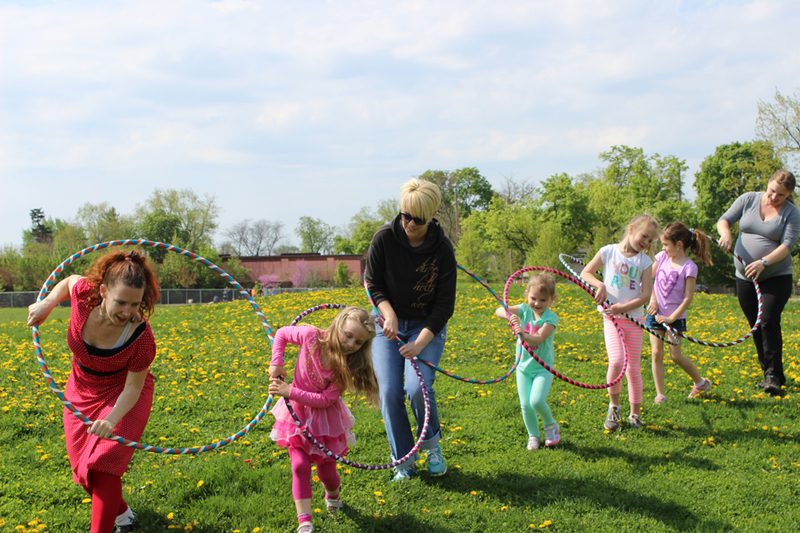 Looking for something for the whole family? 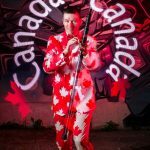 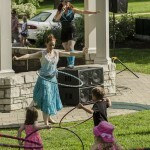 We perform at birthday parties, weddings, backyard gatherings and more. 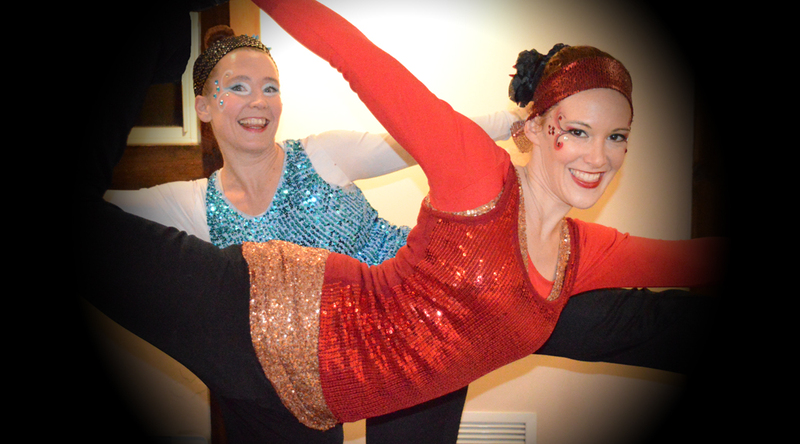 We can entertain as well as engage your party-goers for some festive activity. 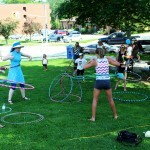 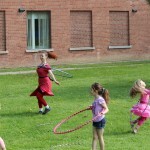 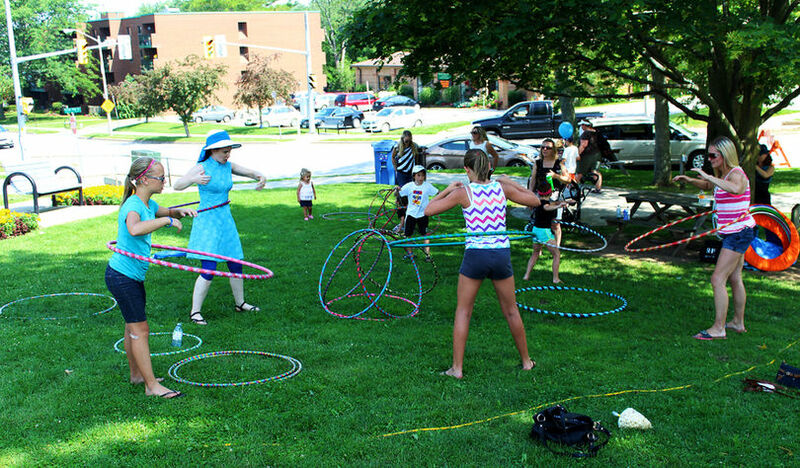 We can adapt our hula hoop fun to any age group or multiple age groups. 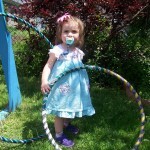 Parents can learn to hoop while the kids learn games. 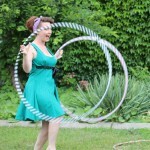 Then we can turn it into a hula hoop dance party for everyone. 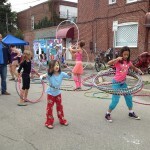 Hoops and music provided. 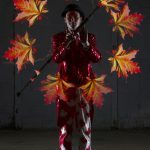 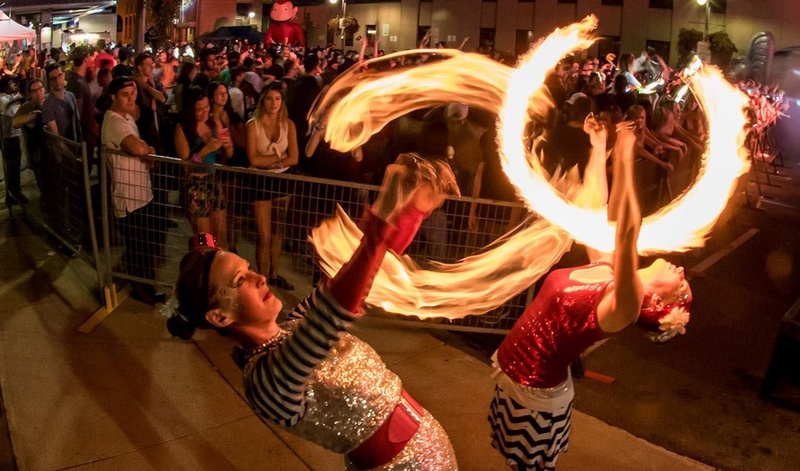 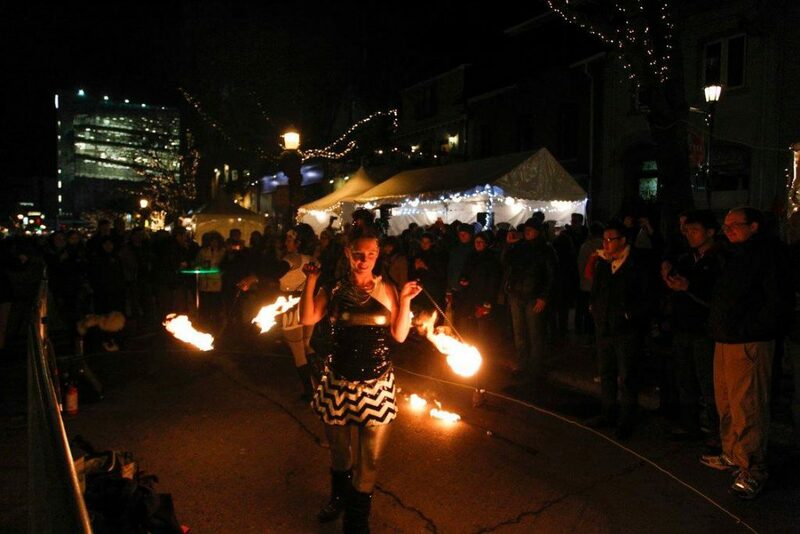 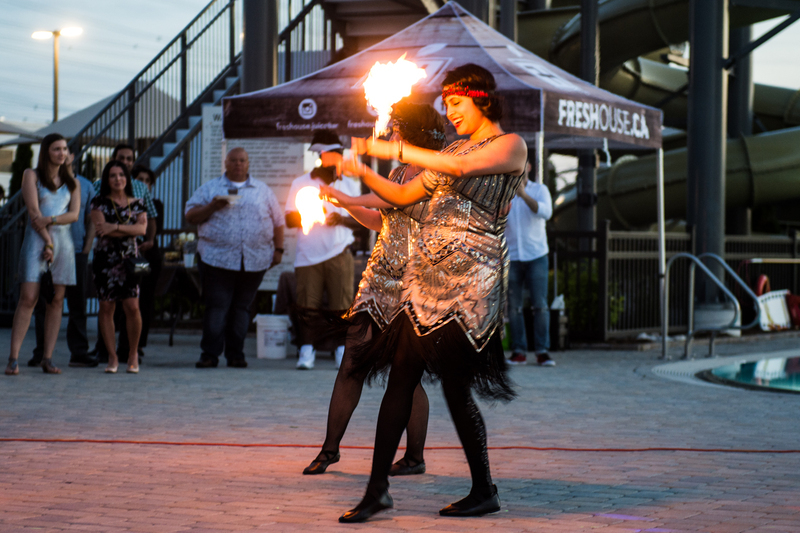 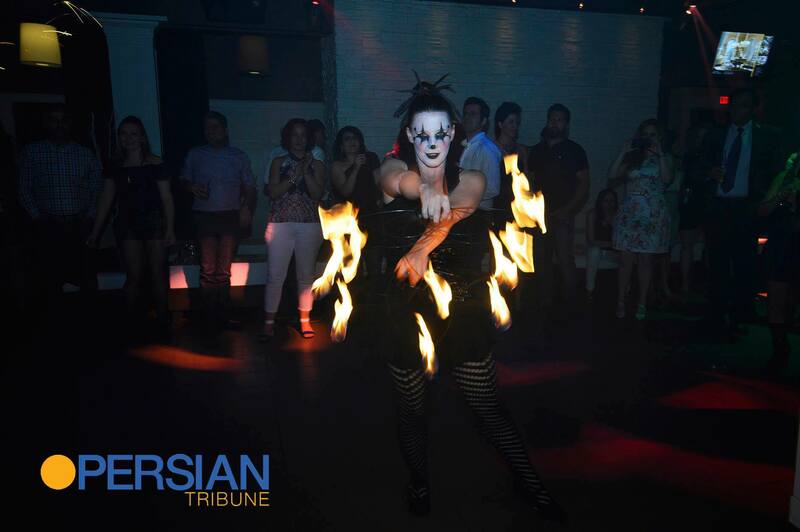 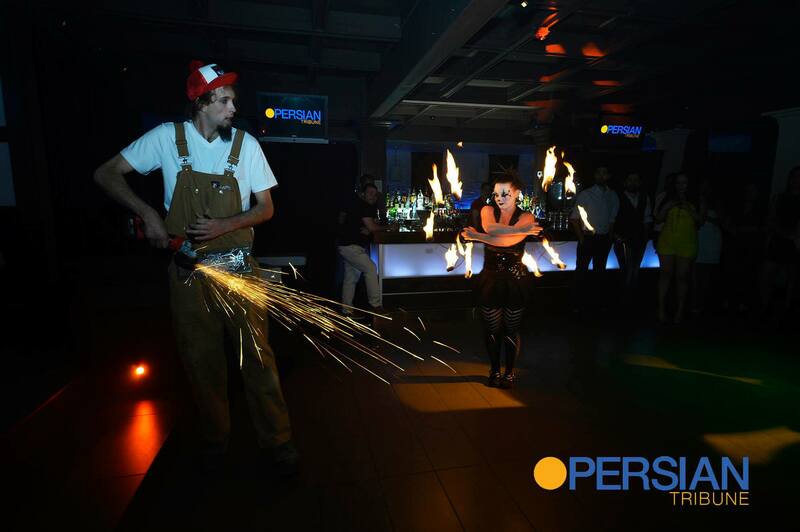 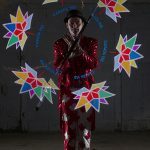 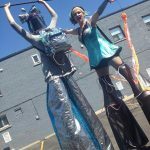 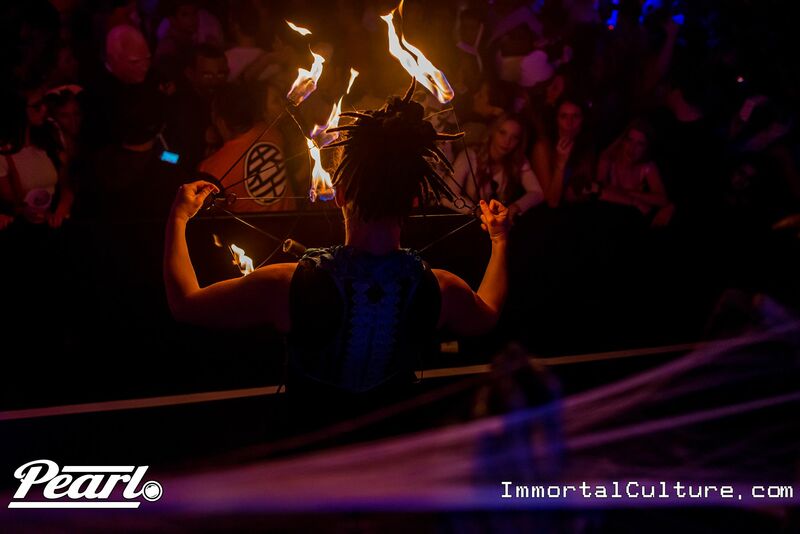 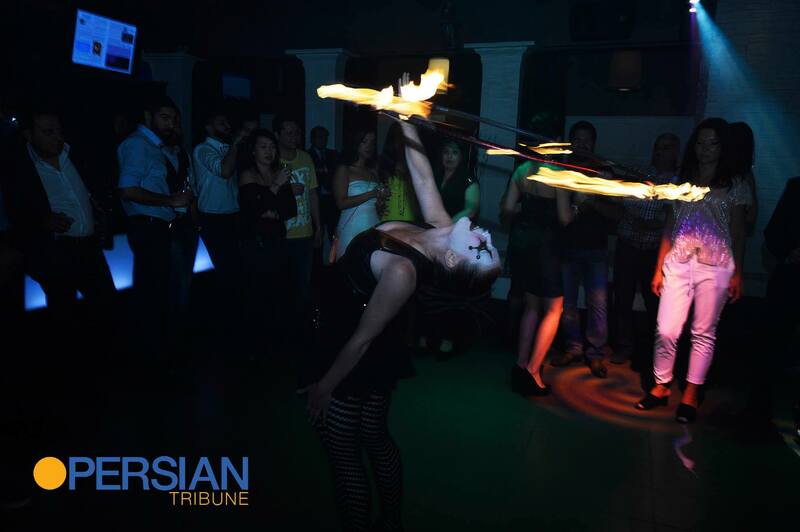 We have dynamic performers who can bring fire dancing or glow shows to light up your event. 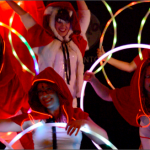 Tell us your party theme and we can match our costumes and props to your colours. 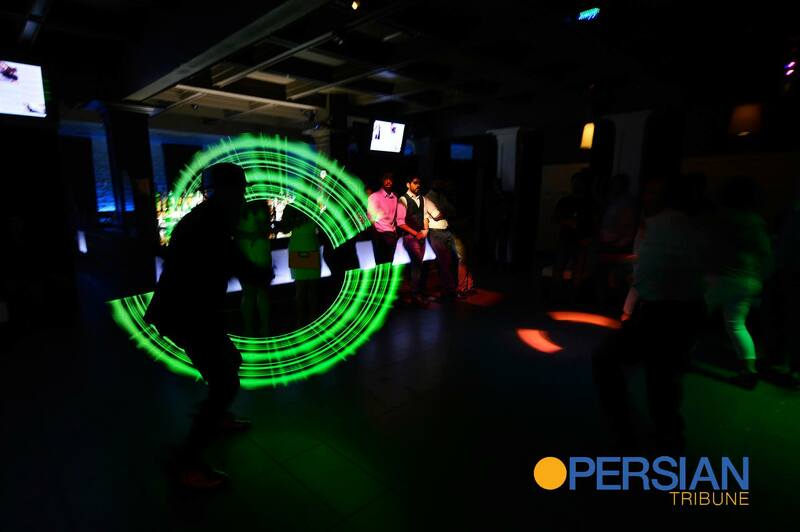 Visual poi option available. 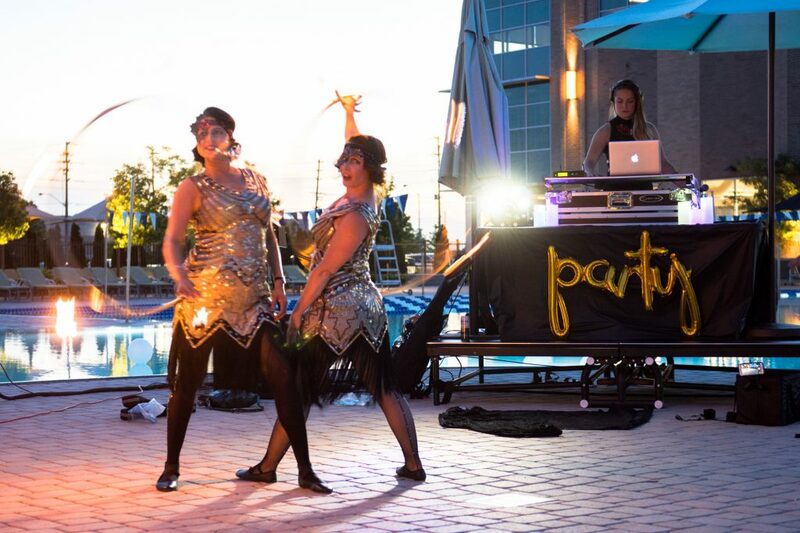 Do you have holiday parties to plan or a special event you want to light up for that extra spark? 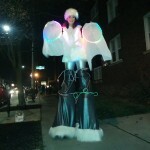 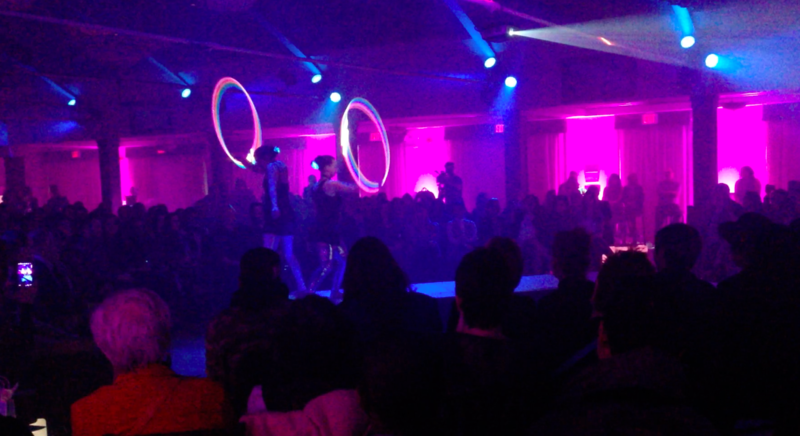 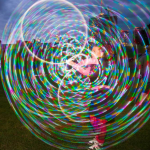 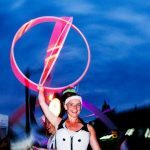 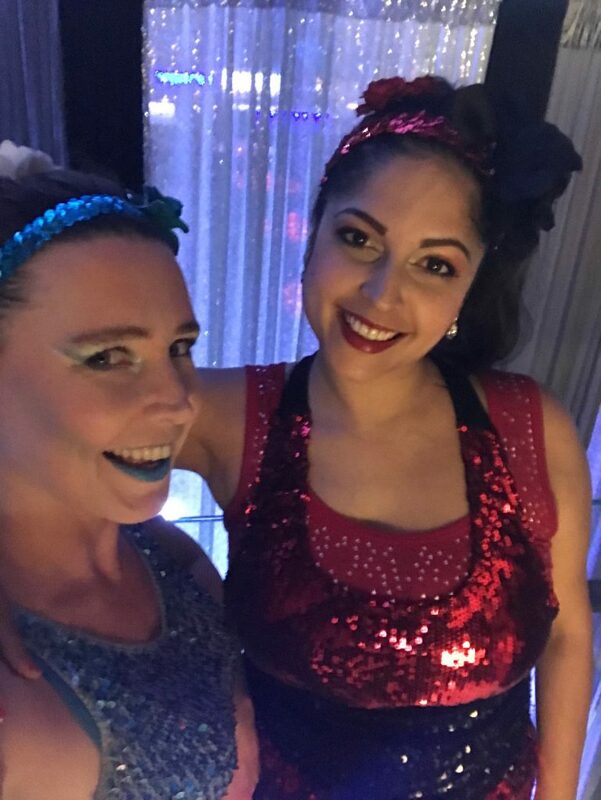 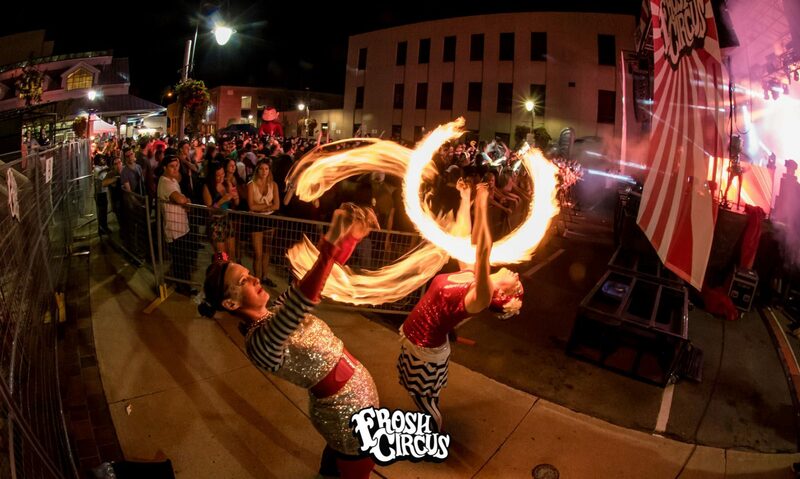 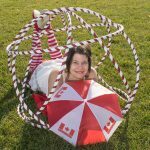 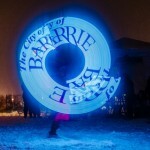 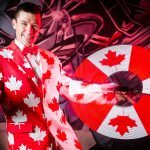 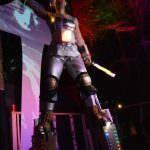 Our hula hoop dancers and poi artists can light it up with glow costumes, LED props, tailored acts and more. 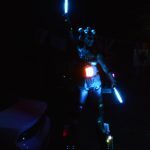 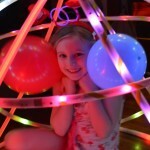 We’ve brought our special glow to parties, festivals, corporate events, birthday parties, weddings, nightclubs and more. 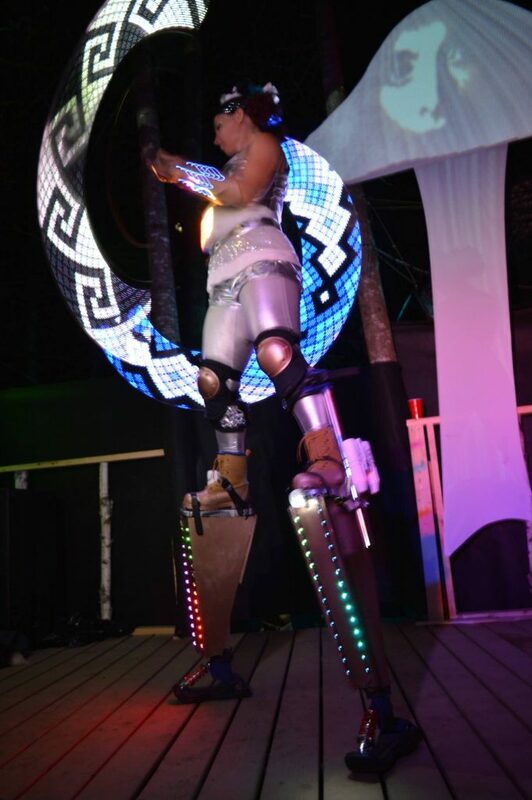 We can create an act just for you, come with a stage show or roam around the space animating your event. 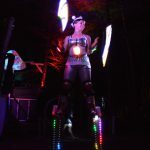 This works best in dim lighting, so at or after sunset for outside shows and with minimal stage or room lighting for inside shows. 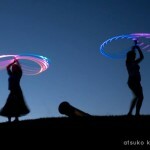 Glow Duo with LED fans, Fibre optic hoops & glow poi. 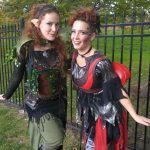 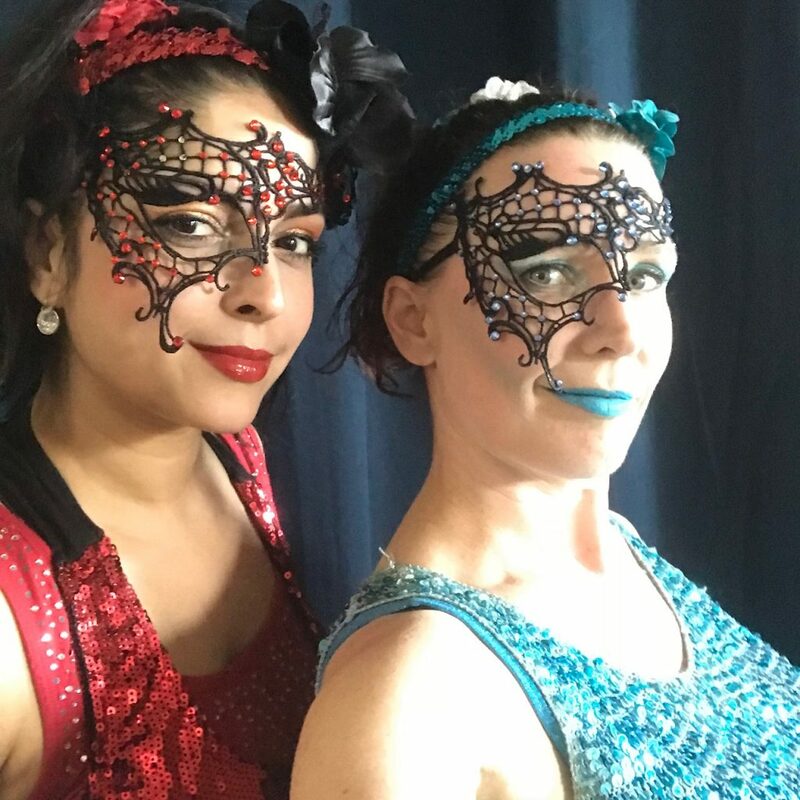 Scarlet Black and Stellaria can dress in your special event colours and choreograph their props to match. 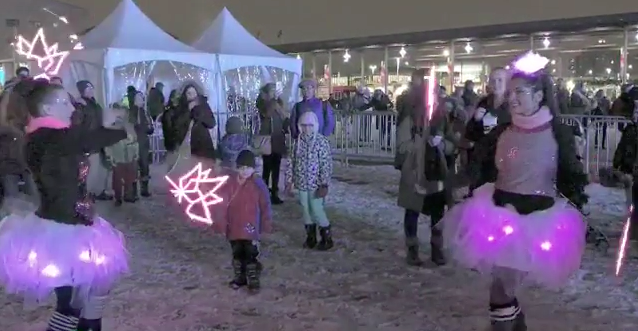 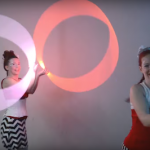 This video features holiday red & whites for the winter season and Canada Day events. 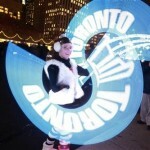 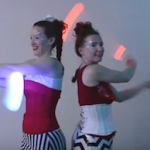 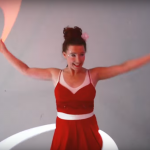 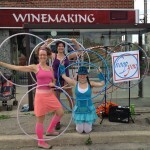 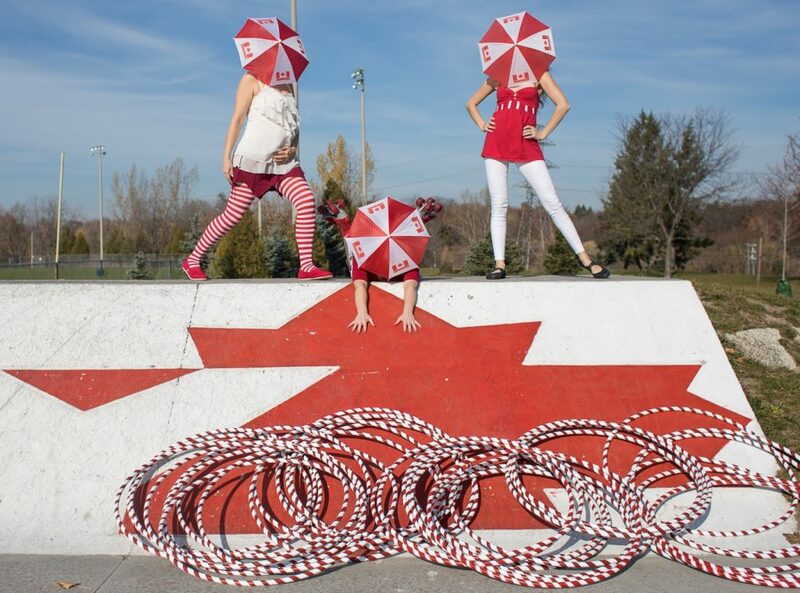 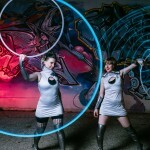 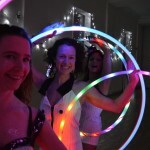 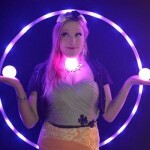 Hoop You Promo Video with the Go-Go GlowGirls! 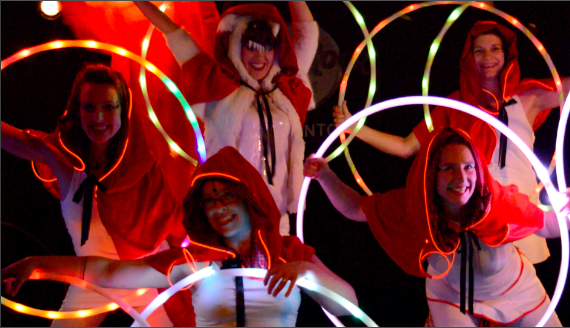 This act was tailored especially for the event Art World Expo 2015 in Toronto with the theme “fairy tales”. 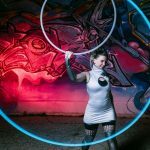 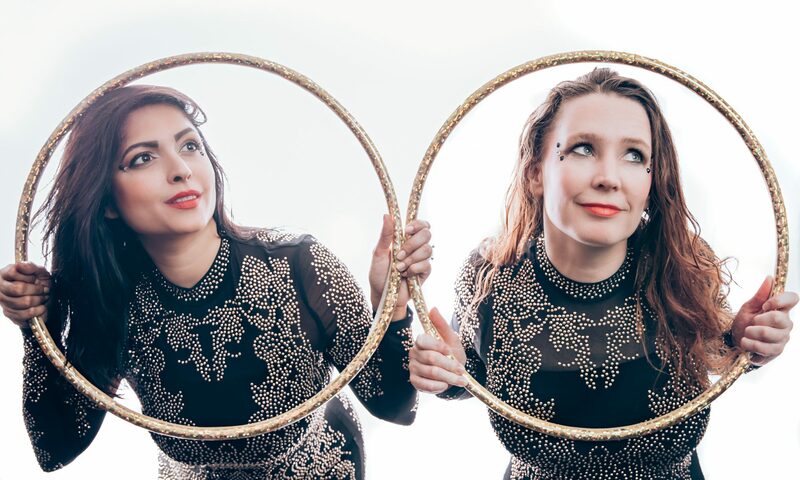 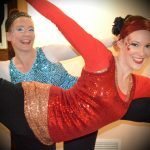 Dancing with doubles, or twin hoops, is a workshop which helps develop the skills and strength for free body movement while spinning two hoops. 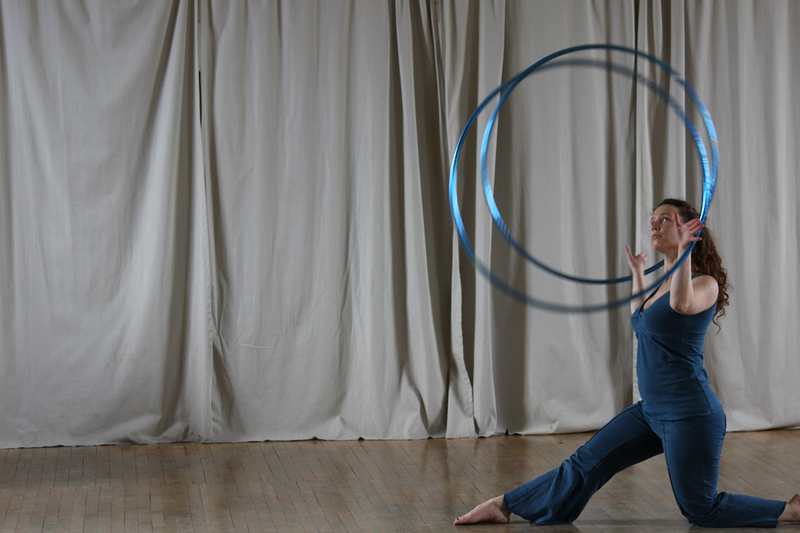 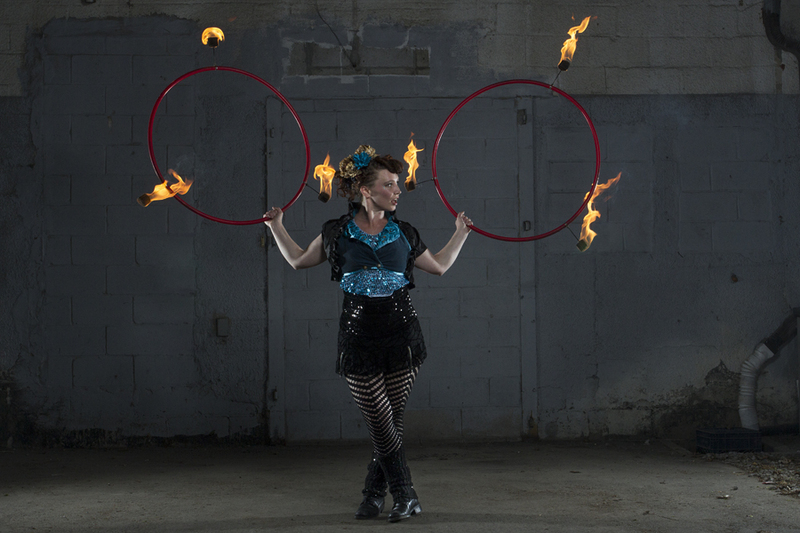 Requirements: beginner waist hoop skills and spinning a hoop on your hand. 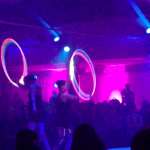 To Bring: a blindfold and 2 double hoops if you have them. 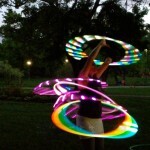 This is for people who have decided that since one hoop is awesome, 2 must be better right? 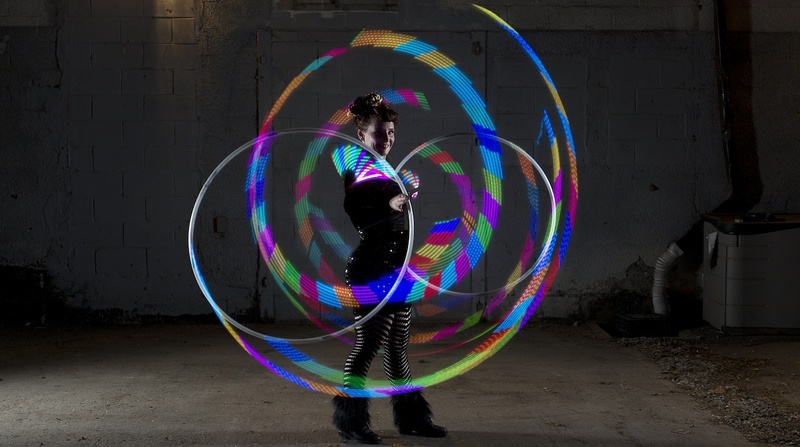 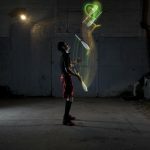 This will cover all the basics of double hooping, including on and off body skills.